This weekend I’ve made five batches of baking. We are set for the week with quick finger food now, savory and sweet. Categories: baking, breakfast, low salt, Quick meals | Tags: baking, biscuits, breakfast food, egg muffins, muffins, quick food, scones | Permalink. My sister taught me this recipe when she was here over the summer. 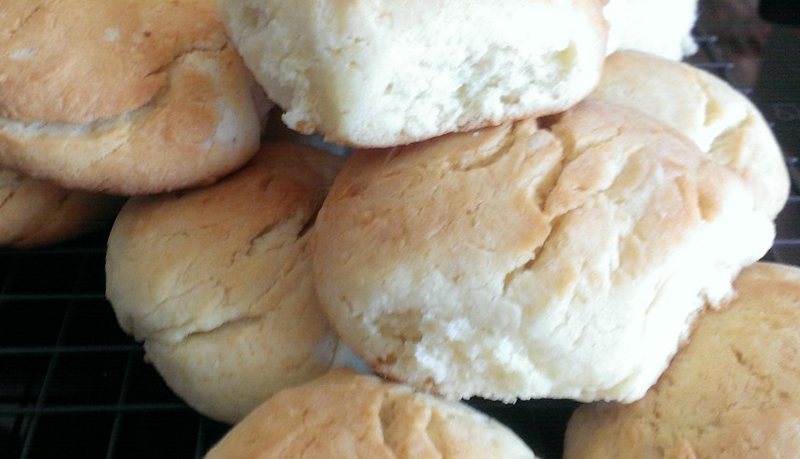 In Australia we call these ‘scones’ and in America, these are often called ‘biscuits’. It’s a quick recipe that relies on the ‘shortness’ of the pastry by way of butter. In this case, it is low salt, and low sugar, but not low in fat, just so you know. The buttery taste is the point, in this case. Something that satisfies the craving for fat, but without blowing out the salt requirement. Giving in to cravings occasionally is a good way to stick to the low-salt diet. Cool for 5 minutes and enjoy! Categories: baking, breakfast, food choices, health, low salt, low sugar, Quick meals, snacks, Under 30 minutes, Vegetarian | Tags: biscuits, great snacks, low sodium, scones | Permalink.